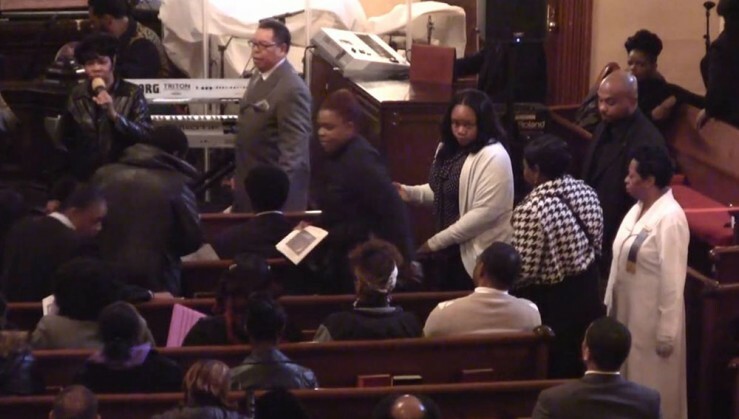 About 100 mourners were at the Brown Baptist Memorial Church in Brooklyn today to attend the funeral of Akai Gurley, the unarmed African American man shot by an NYPD officer. On November 20, Akai Gurley, was shot by a new police officer, Peter Liang, 27, in a dark stairwell at the Louis H. Pink Houses in East New York, Brooklyn. The officials have called the shooting an accident. Kevin Powell, president of the activist group BK nation and the family’s spokesperson, vowed to get justice for Gurley’s family. In his obituary, Gurley was remember as a “Mama’s Boy”, who developed his math skills to suit financial and artistic goals. He was also described as a thoughtful father and an avid dancer. Gurley was survived by both of his parents, girlfriend, Kimberly Ballinger, and his two years old daughter. Last Friday, Brooklyn District Attorney, Kenneth Thompson announced that a grand jury will be assembled for the Gurley’s case.